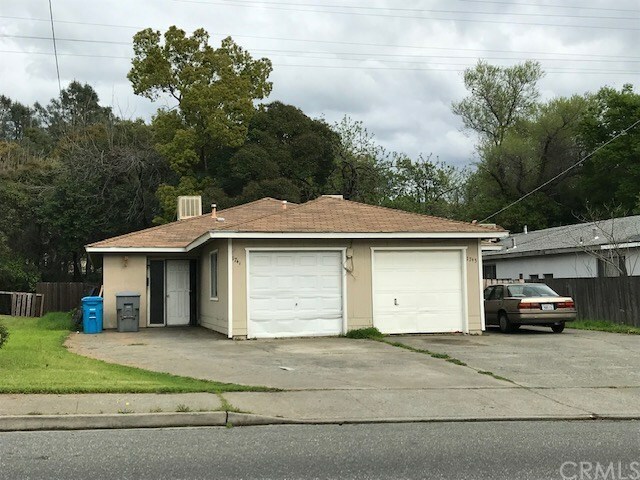 Great neighborhood location for this one-level duplex with two 1-car garages separating the units. Side gated with driveway and additional street parking. Total .17ac lot with shaded backyard. Two 3-bedroom units with 1 bath each. Evaporative Coolers for each unit, natural gas for water heaters, public water and sewer. Rents are below market value with room to improve. 24 hour notice to show - appointment only. Please do not disturb tenants. Directions: Oro Dam Blvd East to left on Bridge St, then right on Boynton Ave. Property on right.